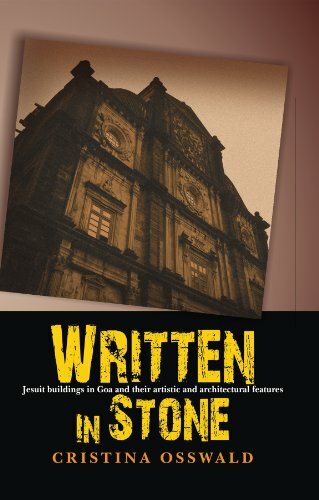 A very detailed look at the art and architecture of the Jesuit buildings in Goa, once the headquarters of the Portuguese empire in the East. Among the buildings studied are the Colegio de S. Paulo Velho (1541-1578), the male and female catechumenates (1550s), the hospital for indigenous people (1551), the noviciate (1556-1664), the orphanage (1558), the first church of S. Paulo Velho (1541-1560), the second church of S. Paulo Velho (1560-1579), the Bom Jesus (1594-1605), the Colegio de S Paulo Novo (1610-1620), the colegio do Espirito Santo in Salcete, the Colegio de Santo Inacio, Rachol (1606-09), and the recreation site at Santana. Cristina Osswald is an art historian and has a PhD on Jesuit art in Goa (1542 to 1655) from the European University Institute, Florence. She did post-doctoral research on the life of the Jesuits and Franciscans in Portugal, India and Brazil (16th to 18th century), with the Universidade do Minho (Portugal), the UNED (Madrid) and UNICAMP (Brazil). She teaches at the Universidade Nova de Lisboa's Department of Art History.